as many bears from United Nations member states as possible were shown for the first time, standing together peacefully, holding hands. 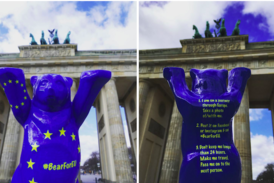 The venue for the exhibition was right next to the Brandenburg Gate, on the premises of the new American Embassy in Berlin. 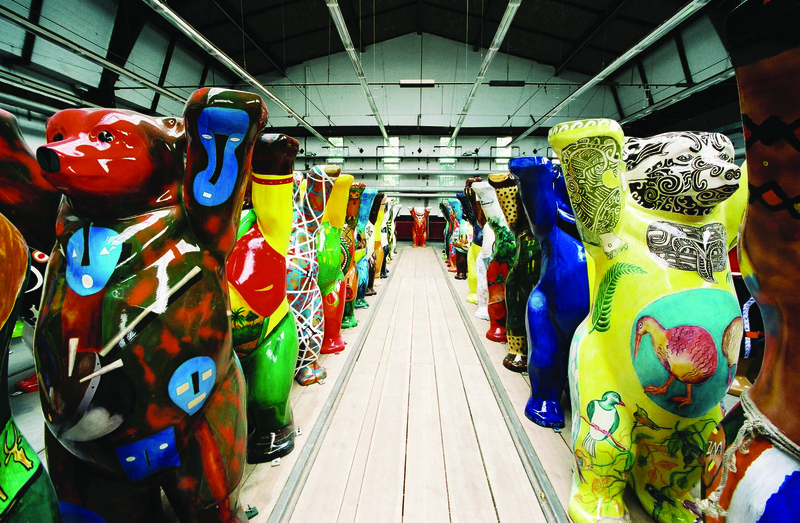 Please read here the Messages of greeting for the exibition of the United Buddy Bears in Berlin 2002. Start photo gallery (10 pictures). Click on a picture. Culture, history, people, landscape, economy, music – always with a different emphasis, many areas were covered, thus creating curiosity about the individual countries in the observers. The diversity of artistic forms of expression reflects the diversity of the people who live in this world. 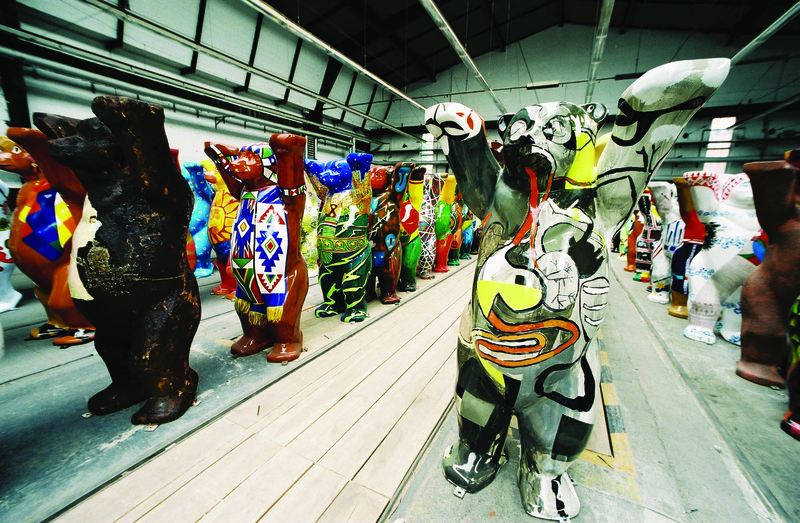 Each artist is able to attract admiring looks to his or her bear and thus his or her country, using different techniques, highlighting different aspects of the respective country. The visitors suddenly become aware of even the smallest, poorer countries that often do not get much attention at all.